Hello there, do you remember me? I’m still here but I have been on an extended “time out” from my blog. I decided to take some time to see what the next step in my life (and this blog) would bring in order continue to “refine” my life. It had become very obvious to me that I was out of balance. I needed to take the time to make my soul happy. I was blogging about events to come and not sharing what was helping to “refine” my life. After all – I am the project. Although I love passing along fun, family friendly, cost effective educational nature & STEM based events. I knew that my purpose with this blog was about more then that. I had strayed away from my initial passion of what I wanted to share when I started this blog. I have started learning new things and brought a few old things back into my life that attribute to a more balanced life. I feel so much better taking some time for me. By once again feeding my mind, body & soul – I feel refreshed and excited and yes, sometimes scared all at the same time. This journey has become a new awaking for me and a very natural next step. I will continue to blog but with more purpose and more balance. From time to time I will continue to share upcoming events that are rooted in things that inspire you and/or your children’s growth as a person. I will also share some of my personal and family adventures. My family I have visited some really beautiful spots this past year and I have so much to share. I hope you will continue to come along with me as I continue on this project of refining my life and hopefully shed some light on yours. 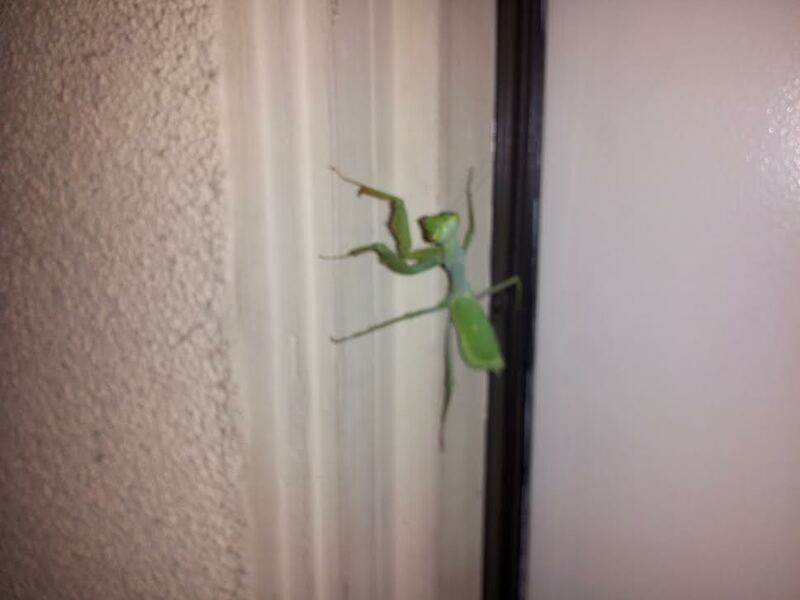 This morning, right after my husband left for work he sent me a picture of a Praying Mantis at our front door. Immediately, I went back to a time when my oldest Son was little. He would keep, feed and observe them, he was fascinated with them. It was always amazing to me how graceful and purposeful their actions where. These traitshave lead the mantis to be a symbol of meditation and contemplation. In fact, in China, the mantis has long been honored for her mindful movements.